Wingspan 6 mm. 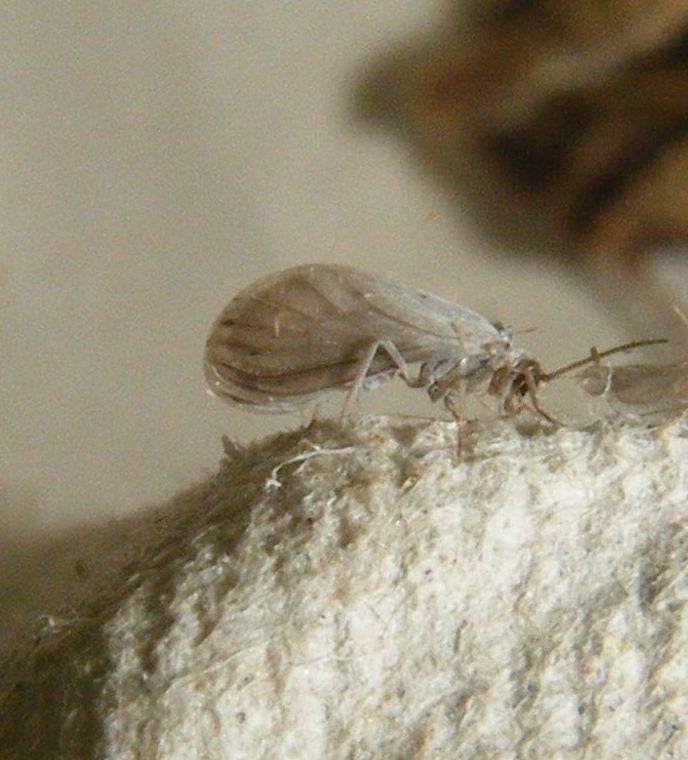 This is one of several rather similar looking greyish white waxflies. Expert help should be sought when identifying these species and detailed examination of the specimen is usually necessary. Examples have been taken from pine, oak and Bulrush (Typha latifolia). Widespread but very local in England south of a line from Liverpool to Whitby and with only a single record from Wales. Rare or under recorded in Leicestershire and Rutland. It was first recorded for VC55 in Leicester in 1990.